We hear so much great film music soundtracking our favourite films, but what about when the music itself is the basis for the plot? Join us as we explore films about classical music and musicians. 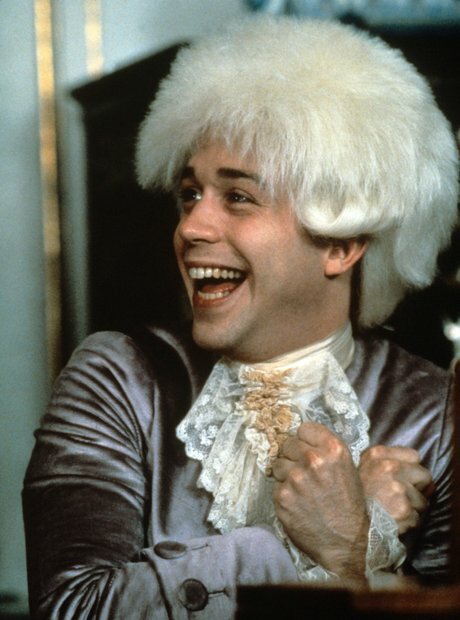 Telling the tale of Mozart's life, and the rivalry between Mozart and fellow composer Salieri, this 1984 film was a huge success at the box office. The composer was baptised as Johannes Chrysostomus Wolfgangus Theophilus Mozart, but often called Wolfgang Amadeus Mozart - from which the film's title is taken. This film is a real staple of classical music represented on the big screen. A moving biographical war drama, adapted from the memoirs of Polish-Jewish musician, Władysław Szpilman. After hearing Szpilman play a Ballade by Chopin, a German officer takes pity on the pianist and offers him food and shelter. No, it's not six unemployed steel workers forming a male striptease act - this amusingly titled film is based on Monteverdi's fourth book of madrigals. The plot concerns six couples breaking up simultaneously in a restaurant, basing its quirky structure on Monteverdi's complex polyphonic music - which was highly innovative in the 1600s. This beautiful French film (Les Choristes) shows the transformative power of music when a new teacher sets up a choir in a boys' boarding school, changing the lives of the children forever. Director Ken Russell is well-known for his biopics of classical musicians, including Elgar, Delius, Liszt and Tchaikovsky, but arguably it's his portrayal of Mahler that is most exciting. It features a series of surrealist flashbacks detailing Mahler's life, marriage, and conversion experience. George Gershwin's music is almost as exciting as his life story in this biographical film. He may be a driven composer, but his need to succeed eventually destroys his relationships. Each of the mini stories in this Disney film are based on a piece of classical music, including Bach's Toccata and Fugue in D minor, Tchaikovsky's Nutcracker Suite, and The Rite of Spring by Stravinsky. Memorable highlights include Mickey Mouse attempting to perform magic tricks to the sound of the Sorcerer's Apprentice by Dukas. A wonderful combination of passionate music and a passionate love story, set in Paris at the time of the premiere of Stravinsky's The Rite of Spring. Both Coco Chanel and Igor Stravinsky took Paris by storm with their radical ideas in their respective fields of fashion and music. Philip Seymour Hoffman stars in this musical film, released in April 2013. It tells the tale of the four members of a quartet, struggling to stay together in the face of adversity. Moving from romantic comedy to Romantic piano music, Hugh Grant is the unlikely choice to play Chopin in this biographical film. It tells the tale of Chopin's love affair with the French novelist known by the pseudonym George Sand. Documenting the life of world-renowned cellist Jacqueline du Pré, this film portrays her rise to fame, her marriage to conductor Daniel Barenboim, and her tragic untimely death. It's based on the memoirs of Jacqueline's sister, Hilary, who stood by her account even after the film attracted controversy for allegedly distorting details in Jacqueline's life. Telling the story of Italian violinist and composer Niccolò Paganini, this film, set in the early 19th Century stars David Garrett as the eponymous hero. But what does he think the differences are between him and Paganini? "Not even that much. He was maybe slightly more eccentric." Set in Vienna in 1804, this film brings the first performance of Beethoven's Symphony No. 3 ('Eroica') to life in its full dramatic glory. Fellow composers Ferdinand Ries and Haydn also feature in the film, which ends with Beethoven looking out at the audience, momentarily unable to hear - a gloomy sign of things to come. This haunting Australian film from 1996 is based on the life of pianist David Helfgott, who suffered a mental breakdown and receives electric shock therapy. After entering a piano competition and deciding to playing Rachmaninov's Piano Concerto No. 3, David becomes increasingly manic as he practises, eventually resulting in his admission to a psychiatric hospital. Tenor Mario Lanza stars in the title role of singer Enrico Caruso in this fictional account of his life. The film was a commercial success, and nominated for three Academy Awards, but the Caruso family successfully sued for damages, thanks to the inaccuracies in the plot. Featuring a best-selling soundtrack by Michael Nyman, The Piano is set during the mid-19th Century, detailing the story of a mute pianist and her daughter when they are abandoned on a beach in New Zealand. The pianist, Ada, may not be able to talk, but she communicates through the music of the piano. You might have heard this title before, in the form of a piece by French composer, Berlioz. This drama from 1942 tells the story of his life and struggles in Paris. With a title like this, The Great Waltz can only be about one composer… waltz king, Johann Strauss II. The film is only loosely based on his life, but it's an interesting portrayal of Viennese society nevertheless. Gary Oldman stars in this 1994 film, investigating the identity of Beethoven's 'Immortal Beloved'. The mystery object of Beethoven's affections is mentioned in letters written by the composer, which were acquired by his biographer, Anton Schindler. Meryl Streep starred opposite Hugh Grant in Florence Foster Jenkins. It follows Florence, a New York heiress known for her poor singing, on her path to fame. Meryl Streep is as charming as ever in this film.